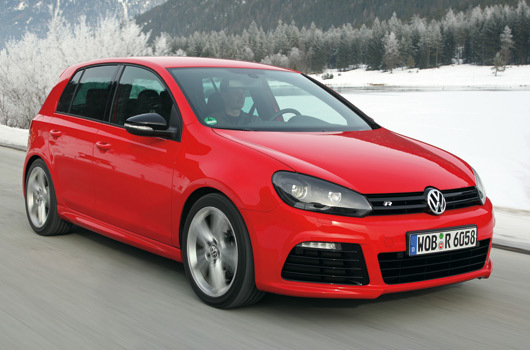 Finally, the über Golf has been confirmed by Volkswagen! The Golf R, complete with a fully revised 4motion all-wheel drive system, 199kW and 350Nm of torque, can accelerate from rest to 100km/h in 5.5 seconds when fitted with a DSG box, or 5.7 seconds for the manual version. 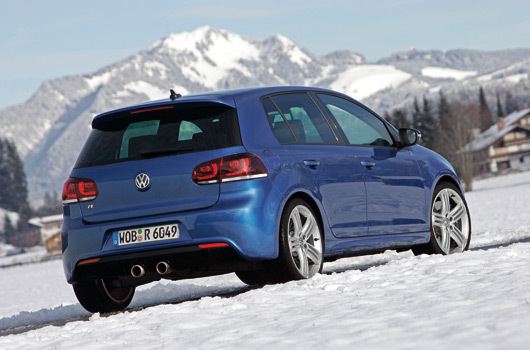 Over the model it replaces, the V6 powered R32, the new Golf R increases peak power by 15kW and maximum torque by 20Nm. With fuel consumption rated at 8.5l/100km the 2-litre four cylinder TSI reduces fuel use by a very respectable 21 per cent. CO2 emissions drop from 255g/km to 199g/km, or a reduction of 28 per cent. Stopping power is provided by 345mm sized front discs, with barely smaller 310mm rotors at the rear. The R comes standard with 18″ Talladega alloys, fitted with 225/40/18 rubber. 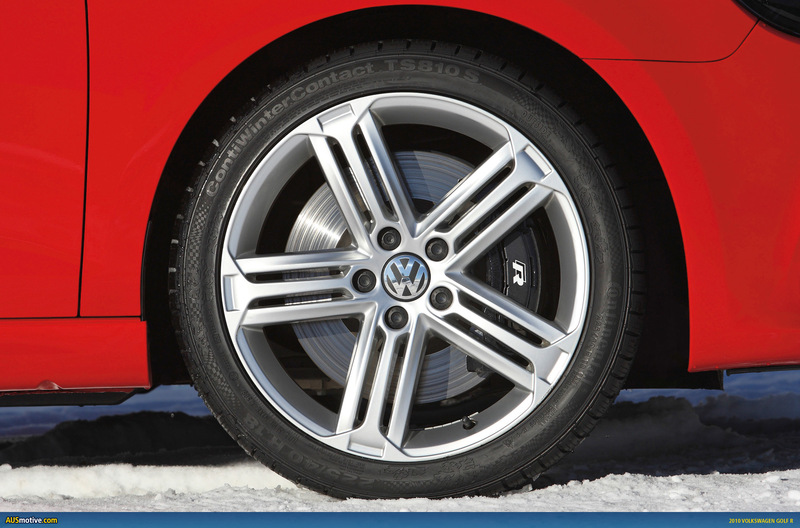 Larger 19″ wheels in the same style can also be optioned with 235/35/19 tyres. The ESP system has been tweaked and given a Sport setting that allows for greater slip in aggressive track-like driving situations. Apart from the more obvious body styling, the Golf R sets itself apart from the rest of the Golf range by the latest bling lighting fad, with LED daytime running lights at the front and, for the first time on a Golf, LED rear tail lights. 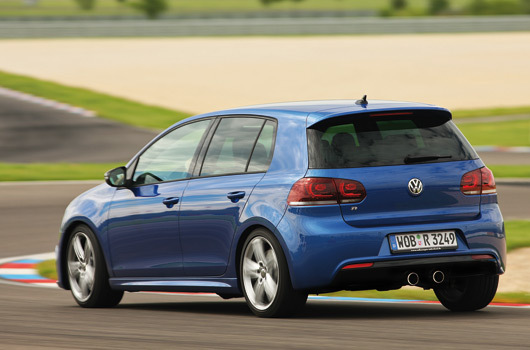 The Golf R really is an Audi S3-lite. Brilliant! Just how “lite” will the pricing be, and when will we see the Golf R on Australia soil? You can ponder these questions while checking out the pics and reading Volkswagen’s press release after the jump. A reminder, too, that all pics can be viewed as wallpaper friendly 2000px super images by clicking on each image. UPDATE 6 April 2010: 20 new images added at end of article. Wolfsburg / Frankfurt, 15 September 2009 – Automotive passion – even in 2009 it still has something to do with power and performance. 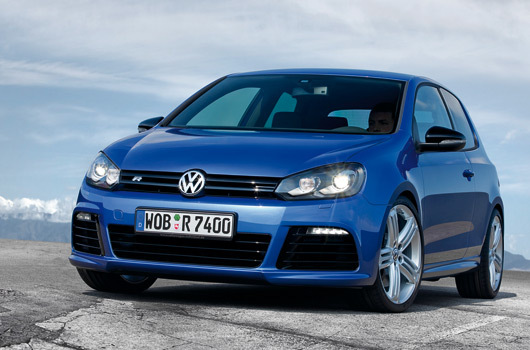 At the IAA, however, Volkswagen is demonstrating – in the world premiere of the new Golf R – that fuel consumption values can even be corrected downward in the high-end sports car area. And indeed without even a hint of a compromise in dynamic performance. On the contrary. Traditionally each new R version of this model series bears the title “strongest Golf of all times.” With a power of 199 kW / 270 PS (at 6,000 rpm), the new Golf R is continuing in this dynamic tradition; the previous model transferred 184 kW / 250 PS to its all-wheel drive system. The highlight here: While the now retired Golf R32 processed 10.7 litres of fuel through its fuel injection system every 100 kilometres, on the new Golf R the figure is just 8.5 litres – 2.2 litres or 21 percent less! 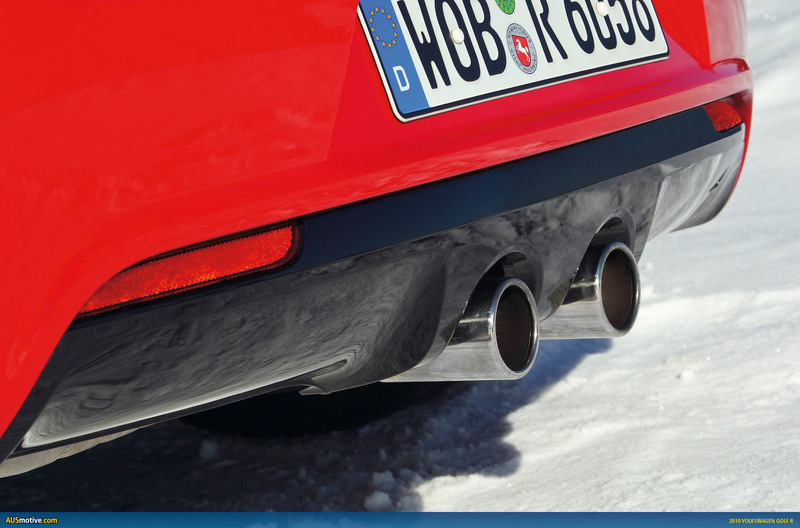 CO2 emissions were reduced from 255 to 199 g/km. 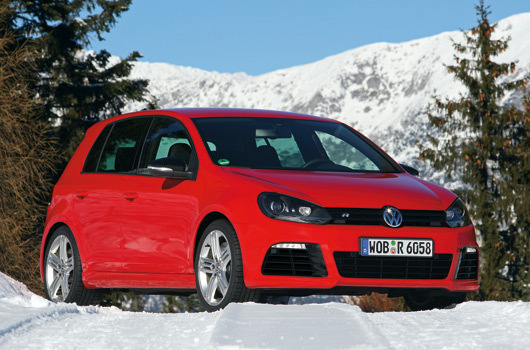 Like all R models, this one was also conceptualised by Volkswagen Individual. In parallel, its performance data advanced as well. 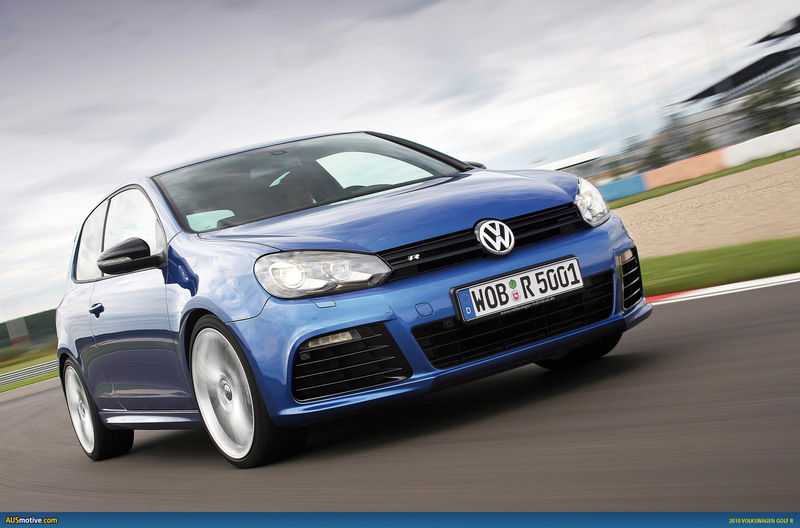 The new Golf R sprints from 0 to 100 km/h – also via all-wheel drive – in 5.7 seconds. On the previous model, the stopwatch stopped at 6.5 seconds. The new model puts the 1,000-meter mark behind it in 25.4 seconds, while the already masterful Golf R32 shot past this mark in 26.7 seconds. 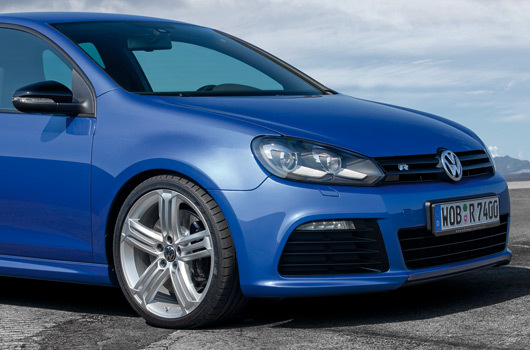 The Golf R does this even better with the optional DSG gearbox, sprinting to 100 km/h in a sensational 5.5 seconds and requiring just 8.4 litres petrol per 100 kilometres (equivalent to 195 g/km CO2) at the fuel pump. The TSI’s torque characteristic is just as impressive. By comparison: The six cylinder of the previous model developed a maximum torque of 320 Newton-meters at 2,500 rpm. And that was already remarkably good. 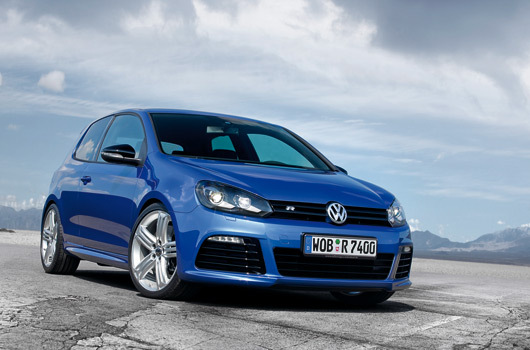 The turbo four-cylinder direct injection engine of the new Golf R, on the other hand, transfers 350 Newton-meters torque to the crankshaft, which is also available starting at 2,500 rpm, but it can maintain this peak value up to 5,000 rpm. So the new car delivers a fascinatingly high level of basic dynamic performance. The Golf R32 and Golf R are really only equal in one discipline; they both have a top speed of 250 km/h (electronically limited on the Golf R). 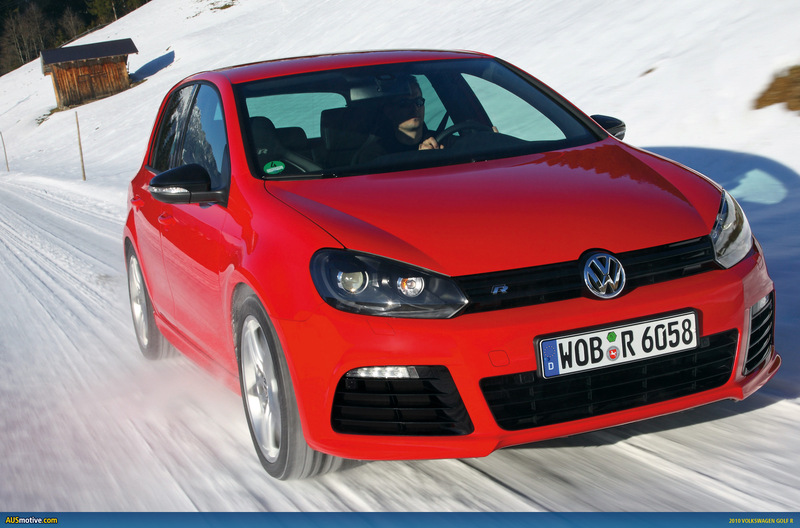 The EA113 series direct-injection petrol engine is used in the new Golf R; its turbocharger makes it very flexible and variable right up into the highest performance ranges. The 1,984 cm3 TSI’s specific power is a respectable 100.3 kW / 136.6 PS per litre displacement, and its response is just as impressive. The engine’s power can be spontaneously summoned in the blink of an eye throughout its speed range. The engine also impressively underscores its potential acoustically. Visually too: Its two chrome tailpipes can be seen at the centre of the bumper under the diffuser integrated there – an “R trait” that the previous model also displayed. The in-line four-cylinder engine develops its tremendous propulsive power via a turbocharger (up to 1.2 bar boost pressure) with intercooling. The engine, with a weight of just 152 kilograms, is controlled by a fully electronic engine management system with E-Gas. The cylinders of the four-cylinder engine have been equipped with reinforcing bolts, unlike less powerful TSI versions. Also designed to be stronger are the connecting rods, so that they can reliably transfer the engine’s high torque to the crankshaft. Last but not least the cylinder block was also reinforced to handle the aggressive engine forces. 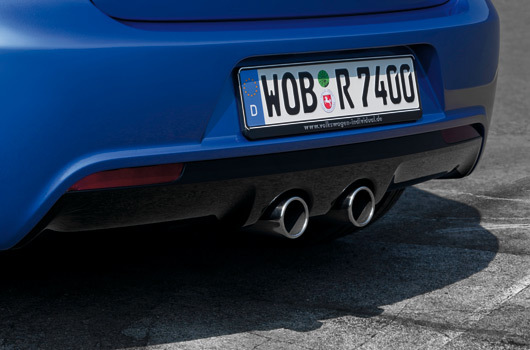 As standard equipment, the Golf R transfers the TSI’s power to the road via the latest generation of Volkswagen’s 4Motion all-wheel drive system. 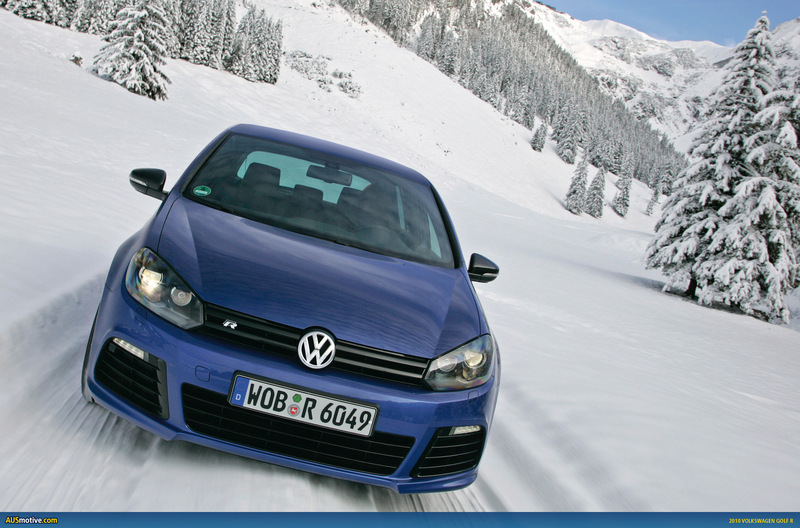 Compared to the version implemented in the Golf R32, the system underwent significant advanced development. Above all, power transmission between the front and rear axles – especially the all-wheel differential that operates in an oil bath – exhibits clear advances compared to the previous generation. The most important one: Activation of the all-wheel differential no longer requires a difference in speeds between the front and rear axles. That is because, different than on the previous generation, for the first time an electric pump is used to build pressure. The electric pump supplies oil to a hydraulic reservoir whose working pressure is 30 bar. A control module computes the ideal drive torque for the rear axle and controls, via a valve, how much oil pressure is applied to the working pistons of the multi-plate clutch. The contact pressure at the clutch plates rises in proportion to the desired torque at the rear axle. The amount of torque that is transferred can be varied continuously with the magnitude of the pressure applied to the clutch plates. Compared to the previous 4Motion generation, the system operates independent of slip, since the system’s working pressure is always available. When starting up and accelerating, this prevents spinning of the wheels at the front axle more effectively, since the control module regulates the torque distribution based on dynamic axle loads. In extreme cases, nearly 100 percent of the drive torque can be directed to the rear axle. This results in further gains in active safety and dynamic performance. 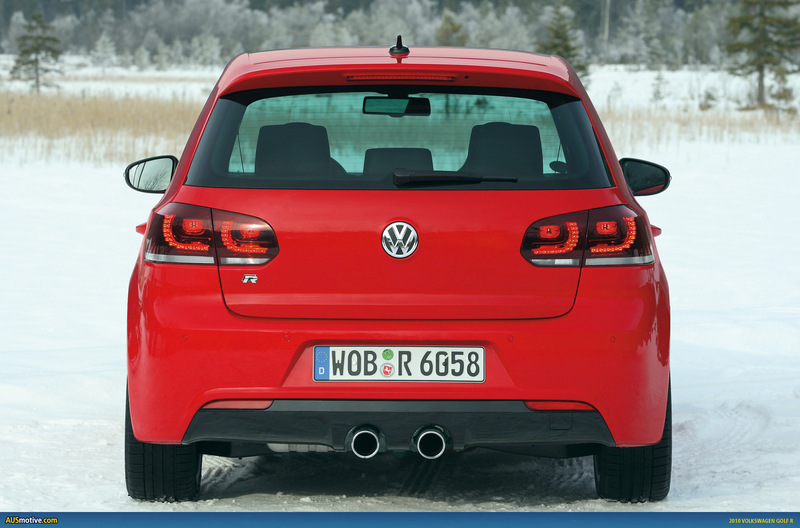 When it came to the chassis, development engineers were able to adopt the first-class system in the current production Golf. This means: In front the familiar McPherson strut suspension with helical springs and telescoping shock absorbers; and at the rear a multi-link suspension ensures that the standard ESP seldom needs to intervene. Nonetheless, the basic layout was transformed into a sport chassis with ride-height lowered 25 millimetres, and the springs, dampers and stabilisers were completely retuned to match. 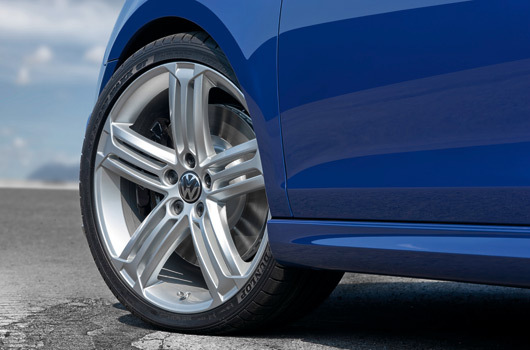 The brake system was also modified for the higher level of driving performance on the Golf R. In place of a 16-inch system, a 17-inch brake system is used with internally ventilated discs all around and R-specific brake calipers painted a high-gloss black with R logo. In front the discs are 345 millimetres in diameter, and 310 millimetres at the rear. The electronic stabilisation program (ESP) was also modified. It can be switched to a new Sport mode via the ESP button. 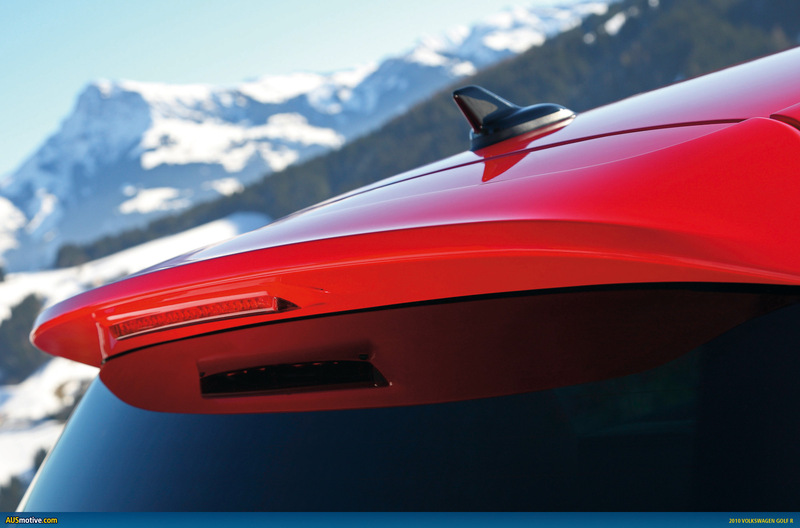 During very fast and curve-filled drives – as on a motorsport race course – the ESP system delays intervention, enabling even more responsive handling properties. 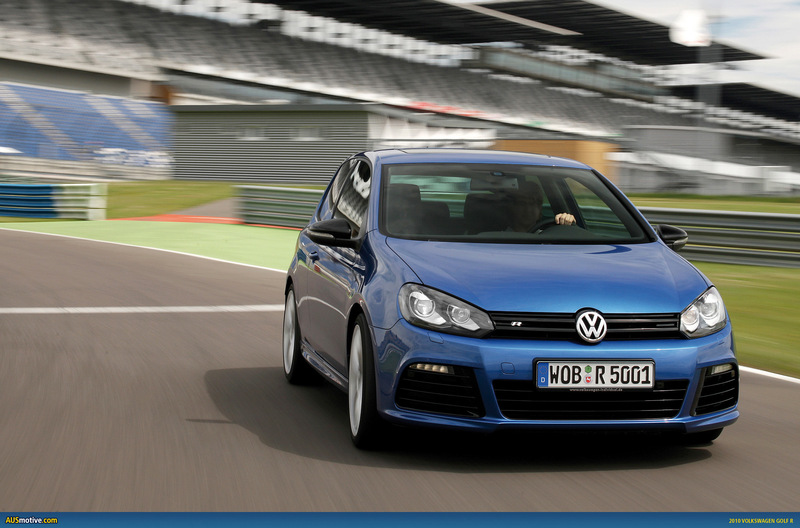 The electro-mechanical power-assist steering of the Golf R was also given a sportier characteristic. If the sports car is ordered with the optional DCC dynamic chassis control option, the power-assist steering even assumes a specially tuned characteristic for each of the system’s driving modes (Sport, Normal, Comfort). The chassis maintains contact with the road through its standard newly designed 18-inch alloy wheels (“Talladega” type) with 225/40 tyres. 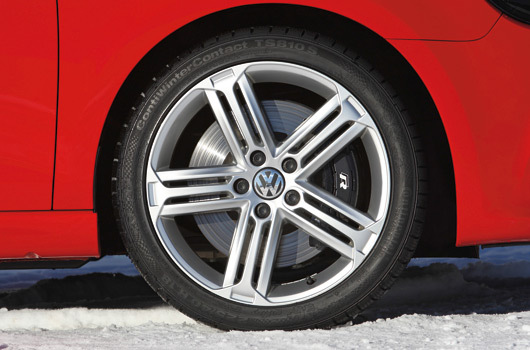 As an option, the same wheels are available in a 19-inch version with 235/35 tyres. Like the first two generations of the Super Golf (I starting in 2002, II in 2005) and the new sister model, the Scirocco R, the new Golf R too sports a completely modified set of exterior and interior features. 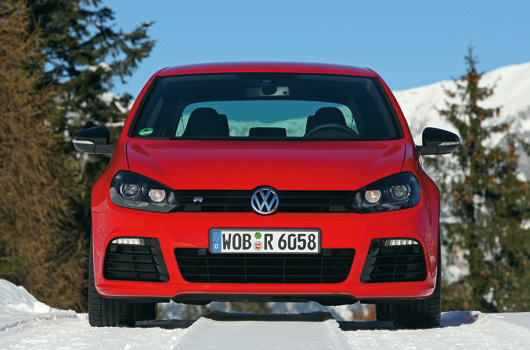 Volkswagen designers, led by Klaus Bischoff, have given the Golf R an independent image with a bundle of well-coordinated refinements. The Golf R unmistakably marks the peak of the model series, and the quality of its styling follows the basic postulate of “La Semplicità” set forth by the Head of Group Design, Walter de Silva. Outside, the customisation includes new wheels and brakes as well as new bumper designs. 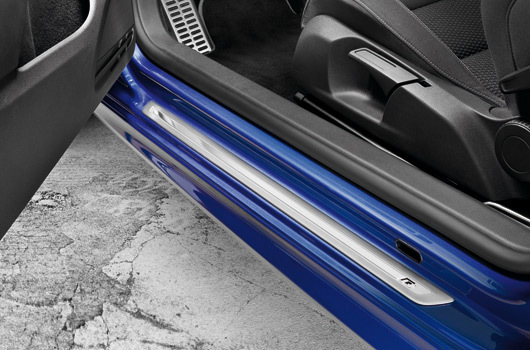 In front, three very large air intakes characterise the Golf R in the bumper area; the louvres on the intakes are painted in high-gloss black, and standard LED strips that serves as daytime running lights are integrated in the two outer air intakes. 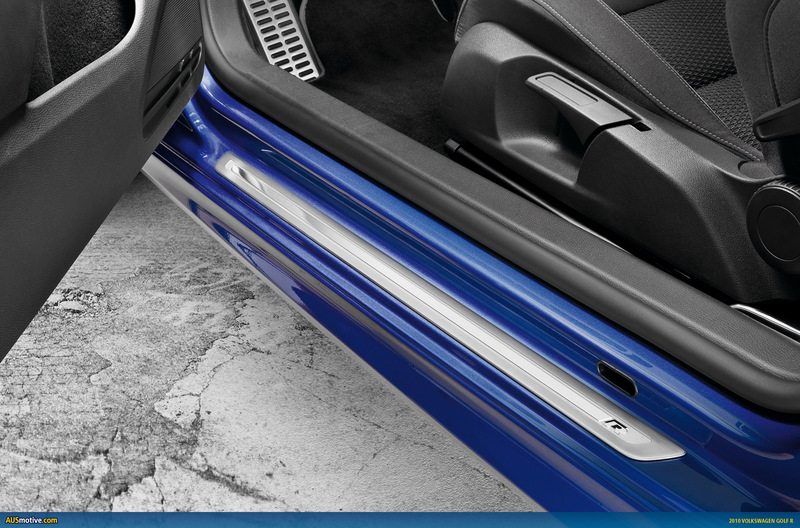 Also painted in high-gloss black are the two louvres of the radiator grille. 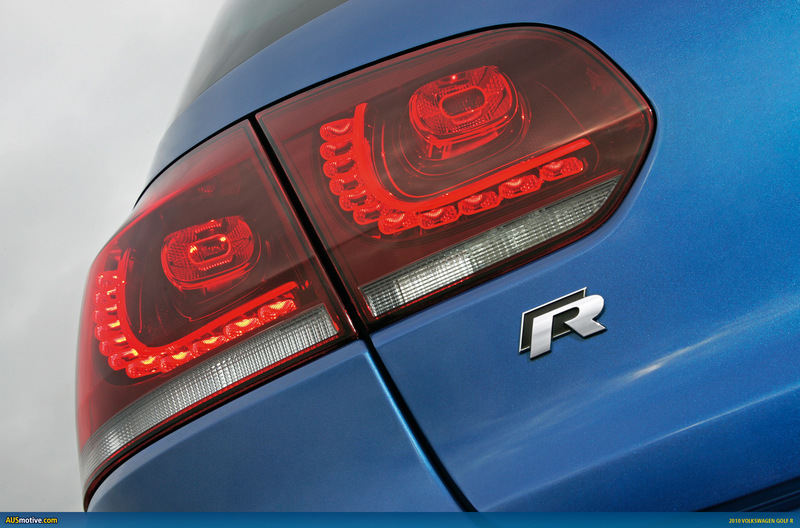 Placed on the right side of the grille is the newly designed R logo in chrome. 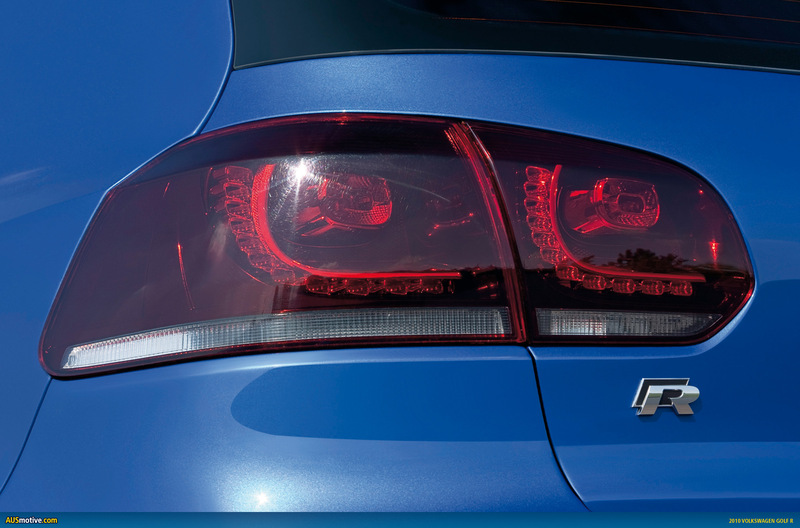 Bi-Xenon headlights, included without surcharge, illuminate the way through the night. 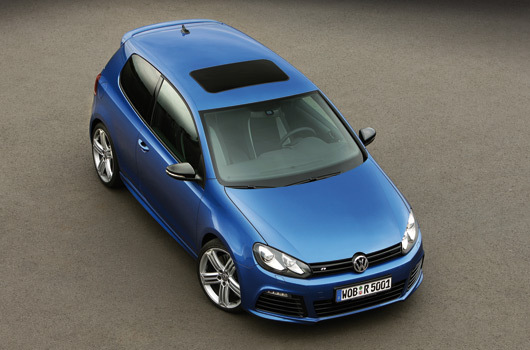 On its sides, the Golf R is identified by its Talladega wheels, side skirt extensions in car colour and mirror housings painted in high-gloss black. It is also possible to recognise the Golf R as an independent top model at the rear. Along with the bumper with diffuser and tailpipes, R logo and larger roof edge spoiler, the newly developed taillights stand out. 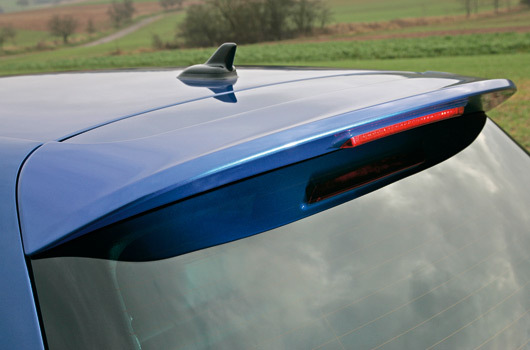 They operate with standard, distinctive LED technology. The taillight covers are also smoked. The sixth generation Golf, with its high-end interior materials, breaks through boundaries to the next higher class. The Golf R also benefits from this quality image; it is in a league of its own based on its power reserves. 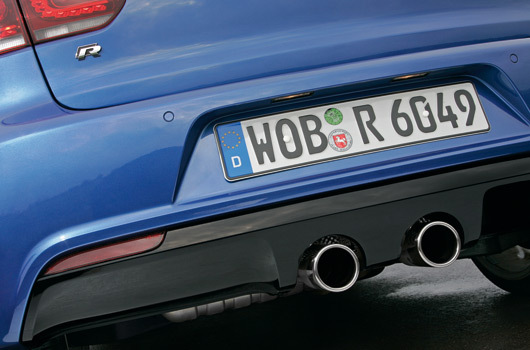 Additional special upgrades developed by Volkswagen Individual underscore the car’s high-class positioning. 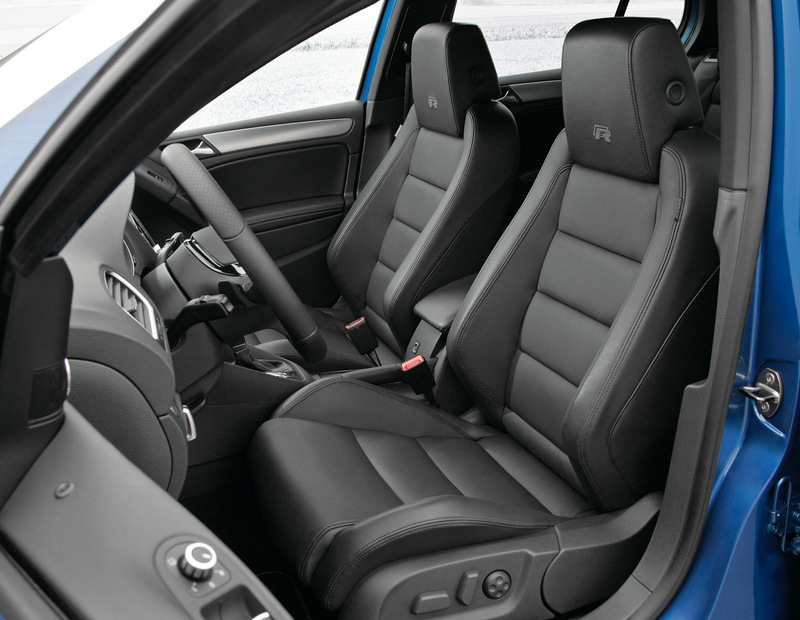 A key equipment option here is the newly designed “Top Sport seat system” with its excellent ergonomic properties. The driver just sits down, adjusts the seat longitudinally and in height, adjusts the steering wheel, buckles up, and is ready to go. The seat fits as though tailor-made. 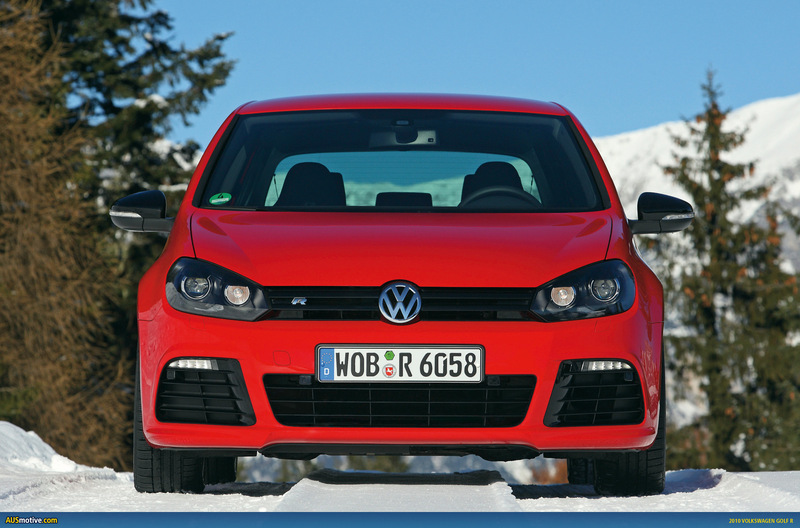 Together with the similarly customised Golf GTI and Golf GTD, the Golf R sets standards here among the international competition. The centre panels of the sport seats are upholstered in the honeycomb textured grey-black “Kyalami” design – named after the race course by the same name in South Africa. The front edge of the seat is upholstered in Titan Black fabric, while the inside panels of the side supports are upholstered with crystal-grey “San Remo” micro-fibres. The rest of the seat components and the roofliner are coloured black. The new R logo is embroidered in the front head restraints as well. Motorsport shell seats for driver and front passenger are also available as an option. 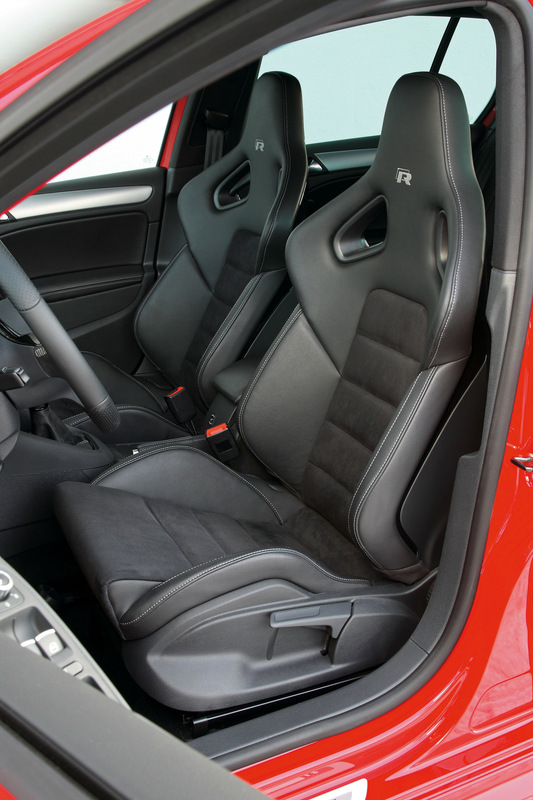 In this case, the centre seat panels are upholstered in the “San Remo” micro-fibre fabric. On the outside, the shell seats are covered with black leather. All seams of the interior are in “Art Grey”; this is also true of the decorative seams on the three-spoke leather steering wheel. Perforated leather is used at the top and bottom of the steering wheel, ensuring maximum hand grip. The sides of the steering wheel featuring ergonomic motorsport attributes are covered by continuous leather. Spokes in fine black piano paint add an elegant aspect to complete the sporty image. The centre steering wheel spoke bears the new R logo. The fascinating material contrast of piano paint and chrome conveys an image of the passion for finesse and precision in every detail. Other new design features include the R gearshift knob, carpet floor mats, aluminium door tread plates with R logo and the instruments with their blue pointers. Stainless steel sport pedals and R-specific instrument and door accents in “Silver Lane” style complete the customisation. 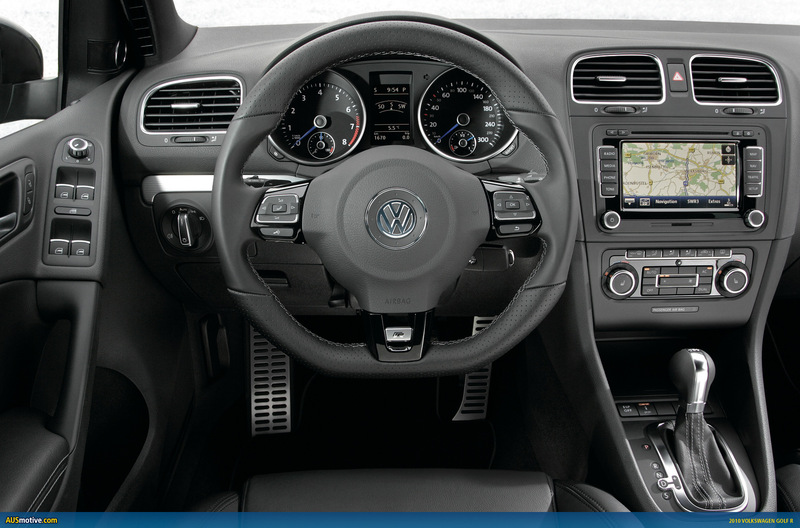 Another standard feature on the Golf R is an automatic climate control system (“Climatronic”), “RCD 310” radio-CD system (4 x 20 Watt) including MP3 player plus dual tuners. The Golf R can be ordered in Germany starting at the end of this year. All data and equipment contained in this press release apply to models offered in Germany. They may differ in other countries. All information is subject to change or correction. 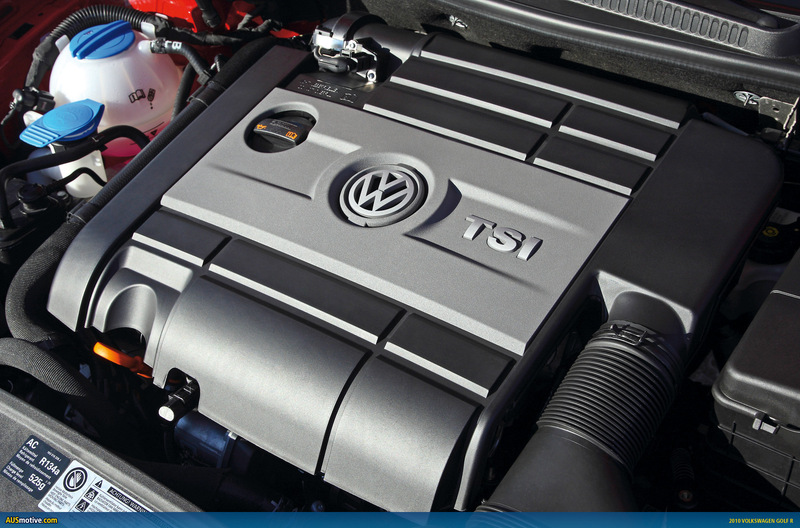 TDI, TSI, DSG and Twincharger are registered trademarks of Volkswagen AG or other companies of the Volkswagen Group in Germany and other countries. 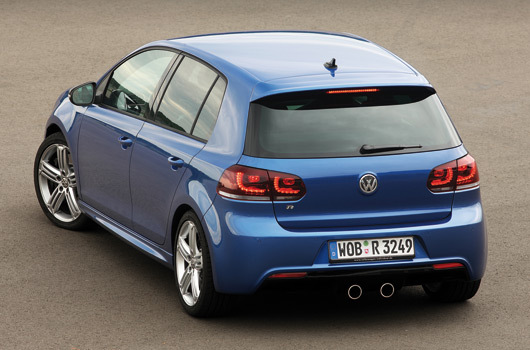 The MkV R32 came out about 6-9 mths after the MKV GTI in Oz so I’ll predict July-August next year. 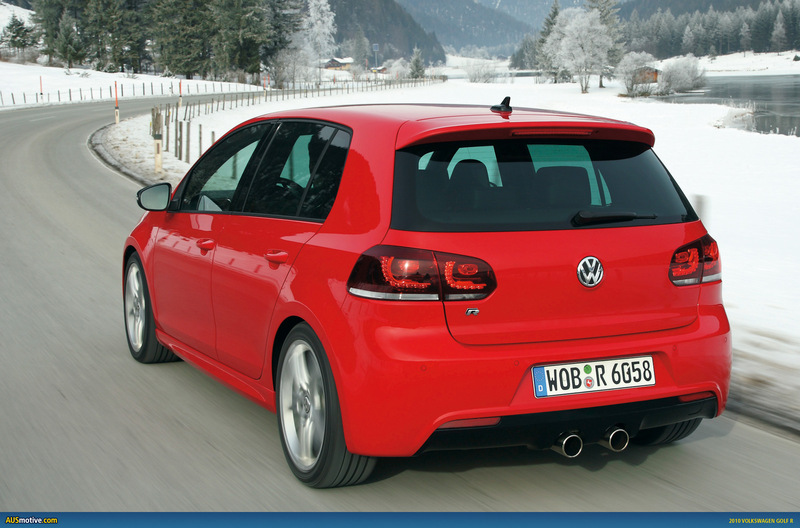 New GTI pricing should give a lead indcator to the R pricing too. Everything points to maybe $1-$2k over the R32 price – max. I think I found my next car unless I win lotto and go the RS3! Definately my next car… time to trade in the mazda! The big issue here in Oz is the pricing for the GTi special edition (s3 motor) and the R32 was way too close to the Audi S3 which is a much better car from a luxury / badge and performance standpoint. Audi more solid, feels and looks better than the golf and has awd turbo – so FANTASTIC news they now share the same motor / driveline combo! well done to VW/Audi!!! Pricing? $55k+???? Looks like they share the s3 brakes now too from a diameter sizing? Looks like good value. If it sounds like the old R32 then that would seal the deal. The MK5 pirelli GTI is not the same engine, is it? Dave, it’s not exactly the same, but pretty close. Anyone who says the current S3 has the same AWD system as this new Golf R needs educating. The current S3 AWD is the same Haldex system as used in the current R32. No good it’s reactive rather than proactive, hence why an EVO will always have the wood over an S3 or R32 for handling. VW have addressed the criticism of the Haldex system with this new proactive AWD system to reduce understeer. Read the article. I can’t believe people actually believe an S3 is better than this new R. The only thing they share the same is the engine. 195kW isn’t enough anyway, they should of went to town and pulled out 225kW and 400Nm from factory. I hope they keep the pricing down no more than $50-55K. The S3 is way overpriced for a hatchback, add a few options and your pushing close to $80K for an understeering hot hatch, that is pure ludicrous. No wonder Audis cop more hits than the internet when it comes to resale, they drop like a mofo! @Jess: The Mk5 R32 has Gen II Haldex, MY09 and onwards S3s have Gen IV Haldex (also used in the Tiguan IIRC). So, the AWD systems are the same, but different. 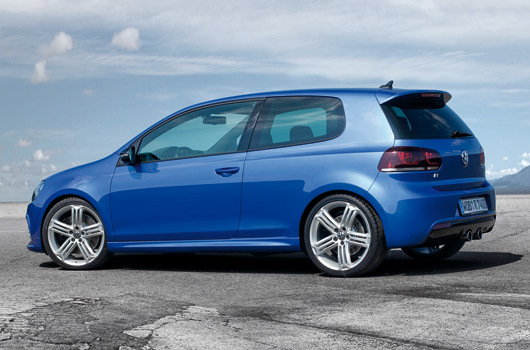 It is quite possible that the Golf R’s Haldex system is further advanced over the current setup in the S3, however, getting definitive answers on such matters is not as straightforward as one might expect. In relation to my comment from Sep 24 I have since had it comfirmed by Haldex that the Golf R uses the same Gen IV system as the Audi S3 (among others). 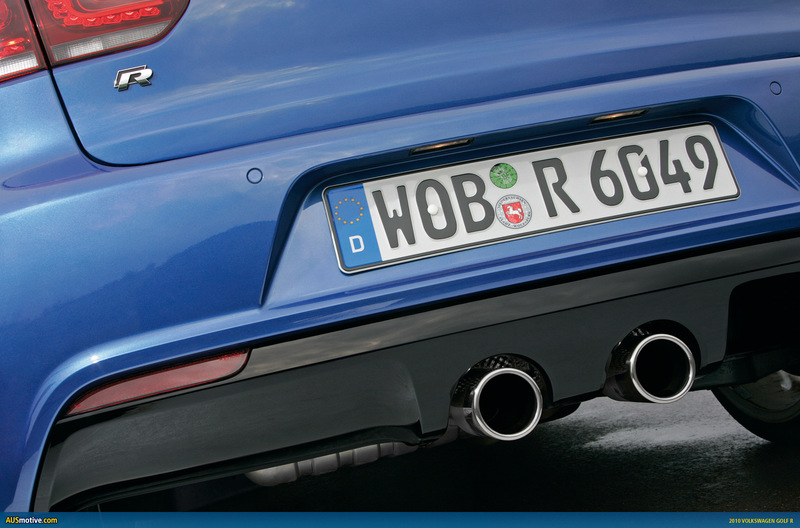 Jun 3, 2014: S3 how much power to rear wheels?